This recipe is adapted from two different recipes. 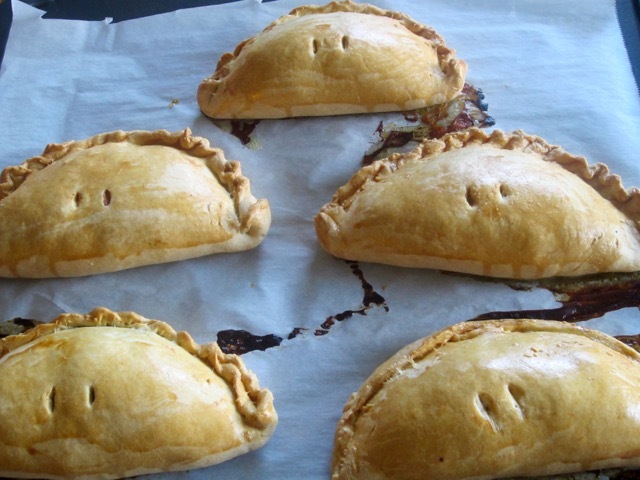 The short pastry is from Hairy Bikers’ Cornish pasty and the filling from the Cornish Pasty Association. 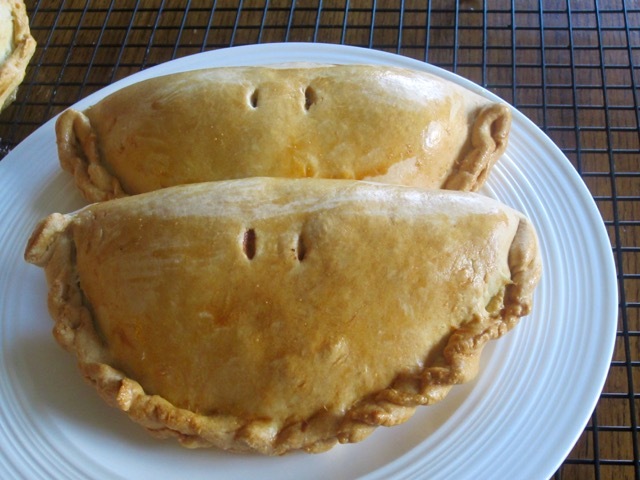 Here are the top tips from Cornish Pasty Association: Beef skirt is the cut traditionally used for Cornish pasties. This is the underside of the belly of the animal. It has no gristle and little fat, cooks in the same amount of time as the raw vegetables and its juice produces wonderful gravy. Use a firm waxy potato such as Maris Peer or Wilja. A floury potato will disintegrate on cooking. I have been practicing crimping. As you can see the edges are much better than the first time!!! 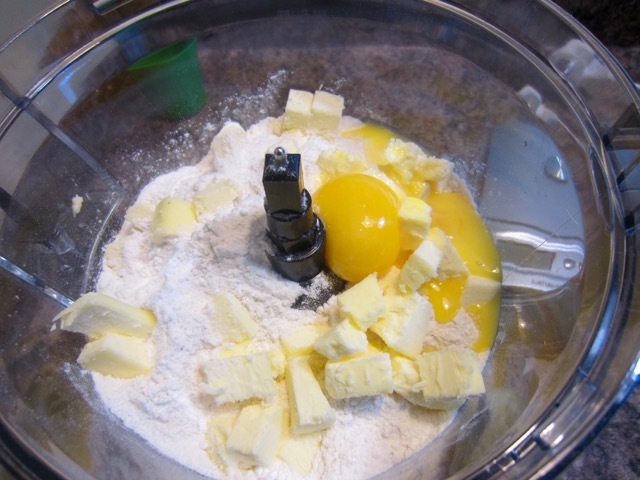 and pulse until the mixture forms crumbs. 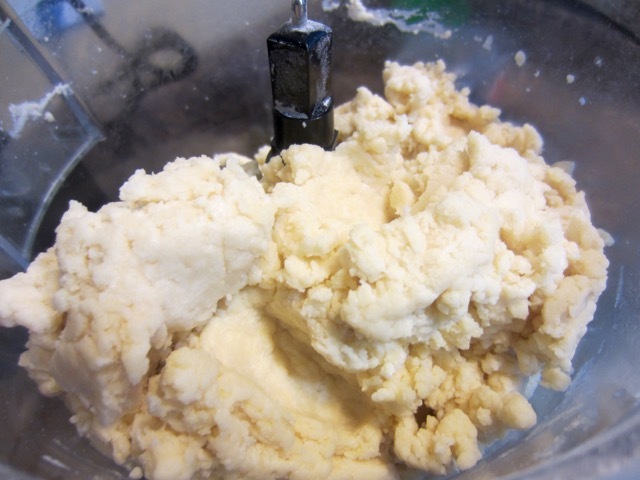 Slowly add the water until the flour forms a soft but firm dough. In my case I added ½ cup + 2 tablespoons cold water. To roll the pastry: Roll out the pastry and cut into circles approx. 8-inches (20cm) diameter. A side plate is an ideal size to use as a guide. 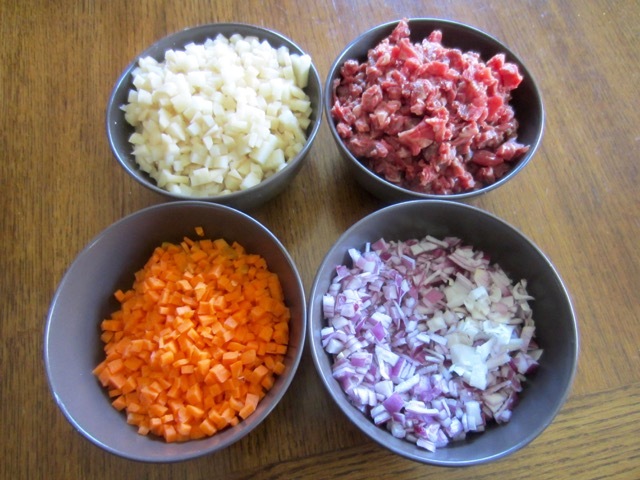 Layer the vegetables-meat mixture on top of the pastry. and crimp the edges together. I have since, gotten better in crimping. I’m so proud of myself…LOL! 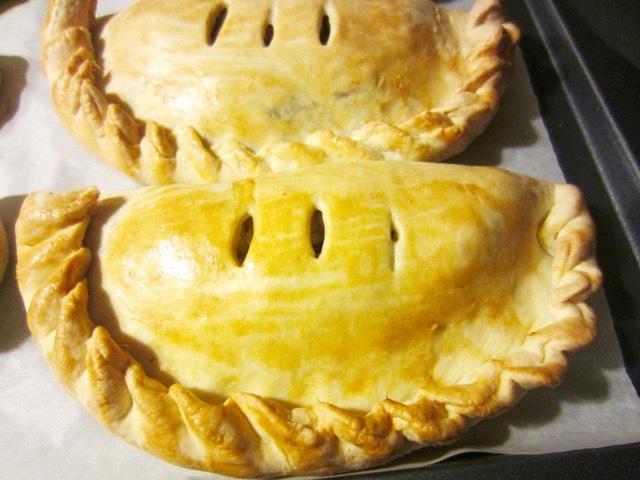 For 9 pasties: 675g flour (5½ cups); 3 teaspoons baking powder; 1½ teaspoon salt; 190g butter (1⅓ stick, 12½ tbsp, 6.7oz); 3 egg yolks. Pre-heat the oven to 330ºF (165ºC) convection or 350ºF (180ºC) regular setting. Line a large baking sheet with parchment. 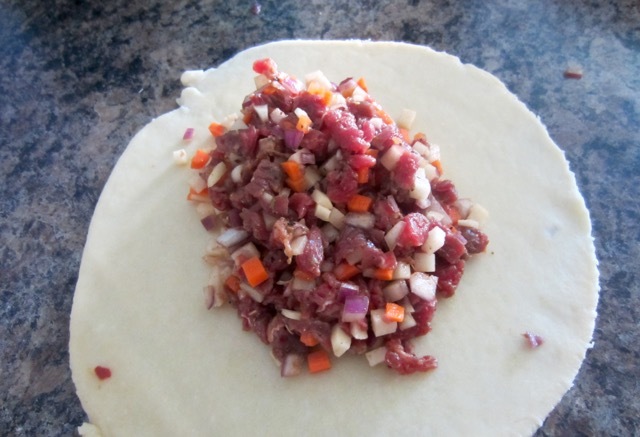 Note: Chop ingredients for filling and keep them separately until you have rolled the pastry and are ready to fill them. 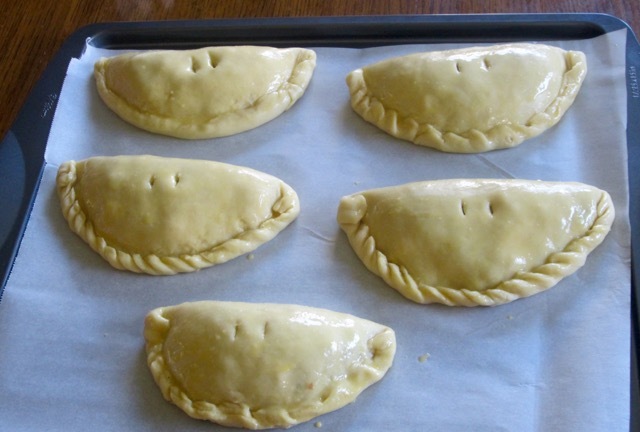 If you salt the filling in advance the meat will develop too much moisture and become too watery. 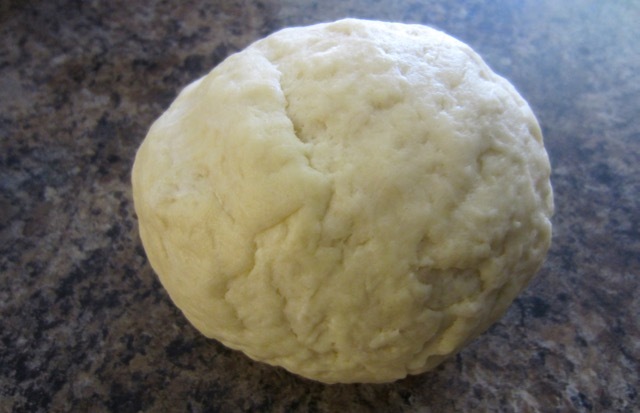 To roll the pastry: Roll out the pastry and cut into circles approx. 8-inches (20cm) diameter. A side plate is an ideal size to use as a guide. 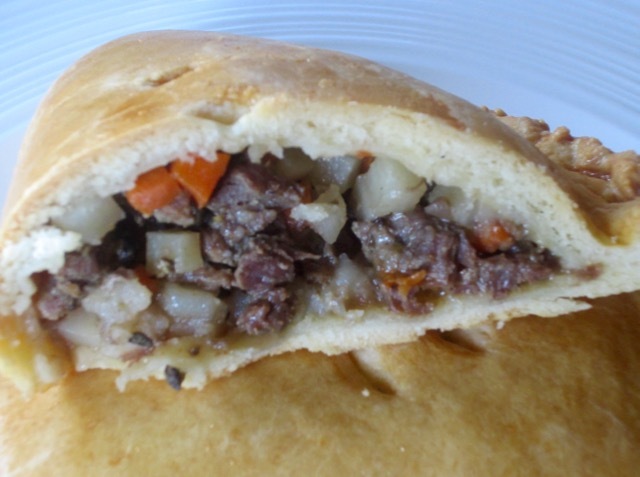 Layer the vegetables-meat mixture on top of the pastry. Brush round the edge with the egg wash. 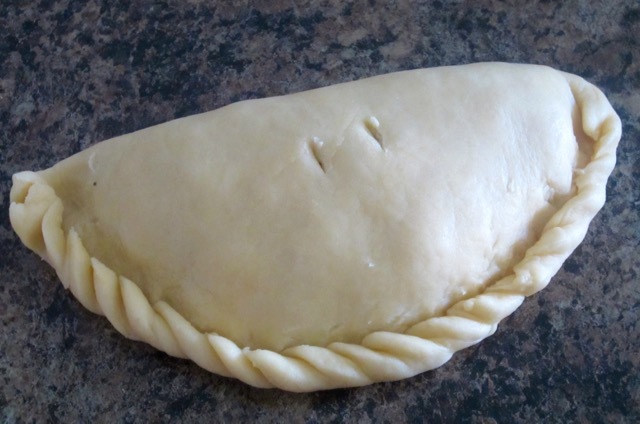 Fold the pastry over and crimp the edges together. Make two slits on top and glaze with beaten egg. Bake for about 50–55 minutes until golden. Looks delish! 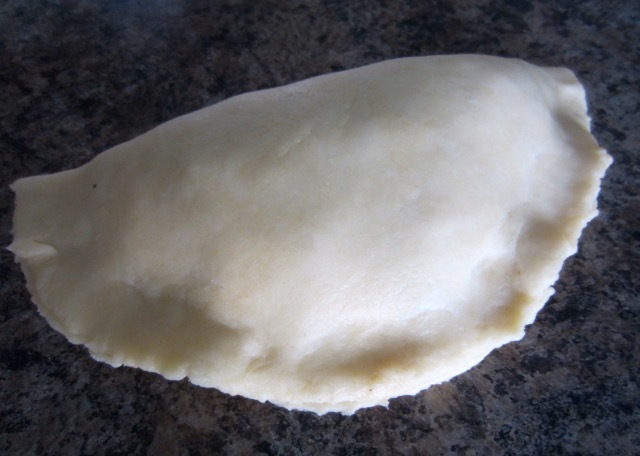 I’ve never cooked nor eaten a pasty. I’ll have to try one. You should try. This was my premier time!!! Home made is totally the best. You add what your heart desires. I had one for lunch. Totally filling! 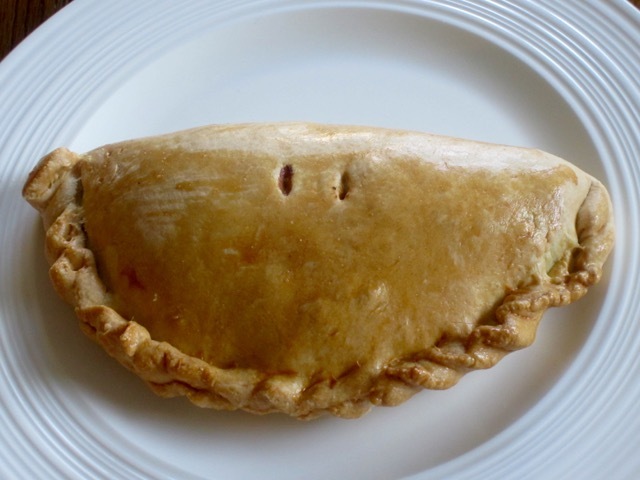 Believe it or not…..I have never tried a Cornish Pasty! They look fabulous! Are they like a little meat pie? 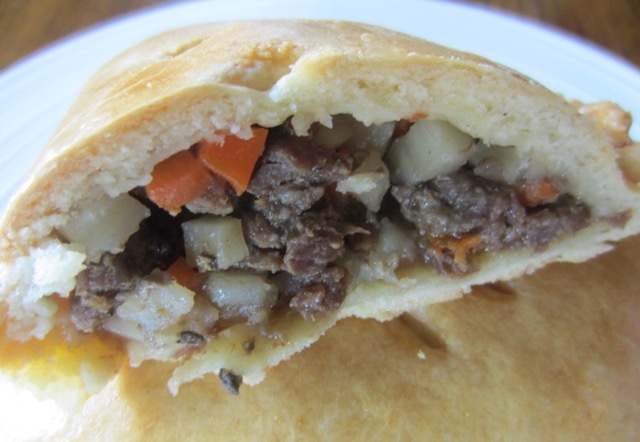 Sorry for my ignorance, I’ve eaten “pies” in Australia and they are actually like a mini meat pie. Rather good but they tasted lardy to me. Anyway, good photos too! 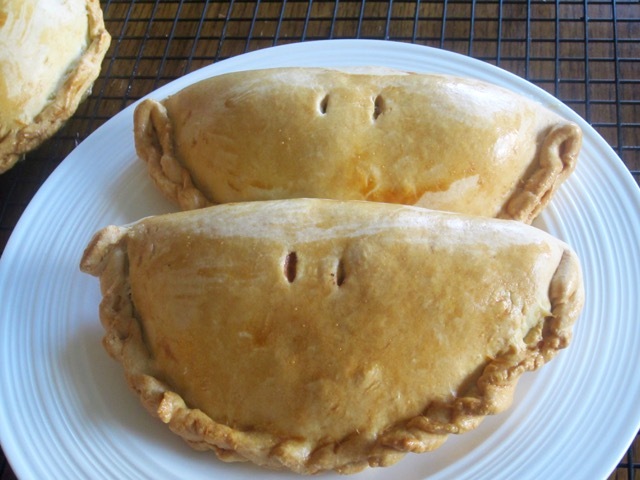 I had never eaten a cornish pasty too and was rather surprised that the meat is raw and not pre-cooked. But then it takes 50 minutes in a hot oven is is actually fully cooked in the end. I really enjoyed eating them. They were so filling so we basically had them for dinner! I am planning to make them, again soon. It’s nicely warm and toasty here. Have a wonderful weekend! Ha ha it was my first time making them. I had never done it before, but they turned out really well. 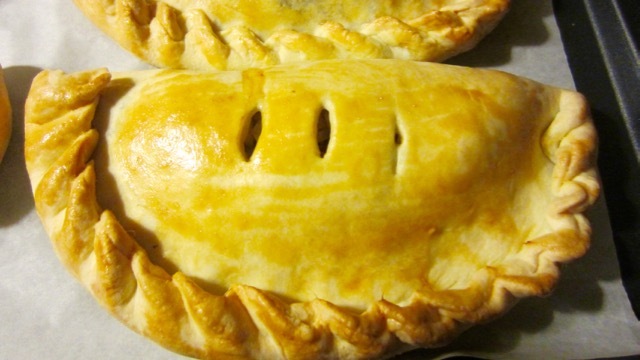 My daughter did the crimping of the edges. We really had fun making them. Have a lovely weekend!